David Nierenberg, the manager of Nierenberg Investment Management Company has received a total of 1,875 shares of RadiSys Corporation (NASDAQ:RSYS). The securities have been granted as restricted stock units, since Mr. Niernberg is a Board Director of the company. Niernberg Investment Management currently holds 4.54 million shares of RadiSys Corporation (NASDAQ:RSYS). David Nierenberg is the founder of D3 Family Funds, managed by Nierenberg Investment Management Company. The hedge fund’s main focus in on micro-cap stocks and it acquires the stocks at the right time or at a ‘mispriced’ price, a situation in which stocks of a company are undervalued by investors. The fund focuses on mainly technology sector but it also has exposure in Basic Materials, Services and Industrial Goods sectors. The hedge fund manages an equity portfolio with a value of $126 million and has invested more than 29% of the equity portfolio in Electro Scientific Inds. Inc (NASDAQ:ESIO). The fund owned 3.18 million shares, worth $37.19 million at the end of the third quarter of 2013. Apart from Electro Scientific Inds., the fund holds 1.69 million shares worth $27.43 million in Rosetta Stone Inc (NYSE:RST) and about 1.0 million shares of C & J Energy Services Inc (NYSE:CJES) worth $20.09 million in the same period. D3 Family Funds believes in working with the management of the companies rather than taking an activist approach. RadiSys Corporation (NASDAQ:RSYS) is a market leader in providing wireless infrastructure solutions to the telecom, aerospace and defense applications. The solutions enable these sectors to deploy 3G and 4G/LTE applications faster and with lower investments and risks. Both the telecom and the aerospace sectors are expected to register good growths this year. With revenues of $54.1 million and net non-GAAP loss of $0.16 per diluted share, the company has already embarked on a cost restructuring exercise. 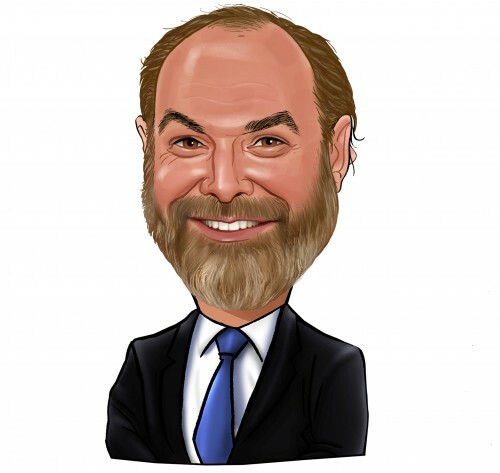 Apart from Nierenberg Investment Management, other hedge funds with a bullish sentiment on the company include Chuck Royce managed Royce & Associates. Royce & Associates has an investment of 1.63 million shares worth $5.25 million at the end of the third quarter. Renaissance Technologies, managed by Jim Simons held 1.08 million shares worth $3.49 million at the end of the third quarter of 2013.